Arne Jacobsen might be the most famous Danish architect and designer. Legendary furnishing-designs made Jacobsen popular in Denmark and further away. 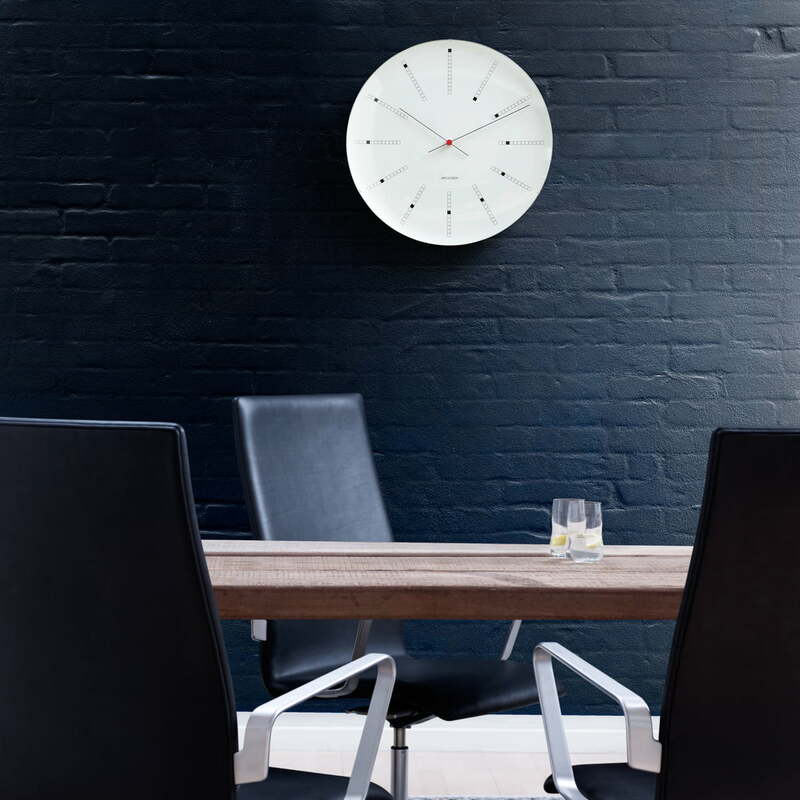 The Rosendahl company bought the rights for the Re-Production of the most famous wall-clocks by Arne Jacobsen and re-edited them now in 100% compliance with the original designs and in meticulous cooperation with Teit Weylandt. 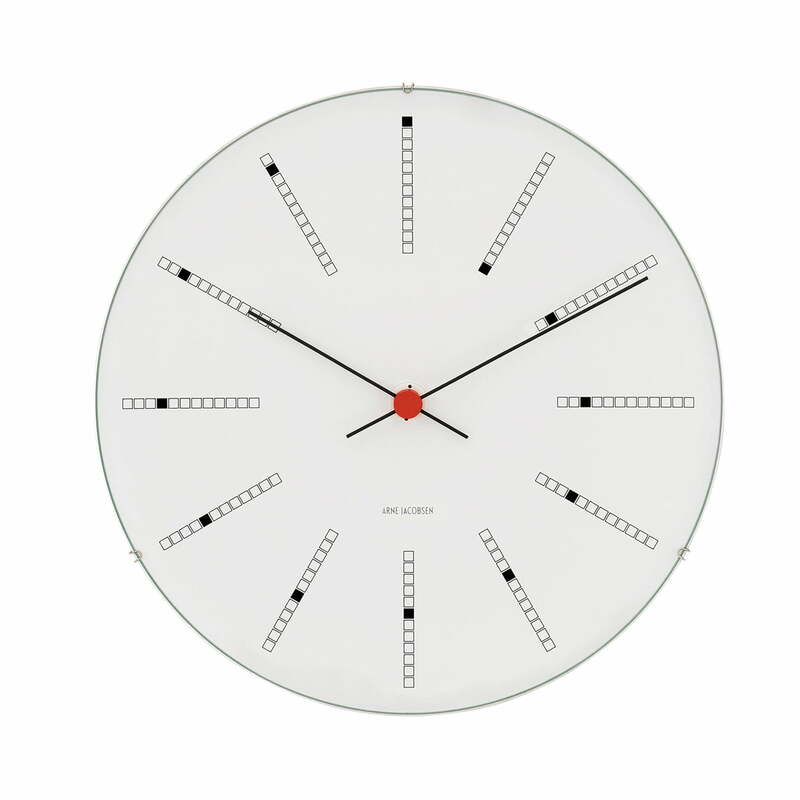 Teit Weylandt has worked for Arne Jacobsen's product development during a long time and he focused on every small detail for the re-production of the clocks: "Not a stone stayed on another: the pointers, the housing, the form of the lens – we studied everything…"
The Bankers clock by Arne Jacobsen has initially been designed for the building of the Danish national bank in 1971. The most recent one of the three designs shows an abstract dial with a bar (subdivided in twelve sectors) that displays the hours, so that the sector is moved by one sector every hour – instead of having conventional numbers. 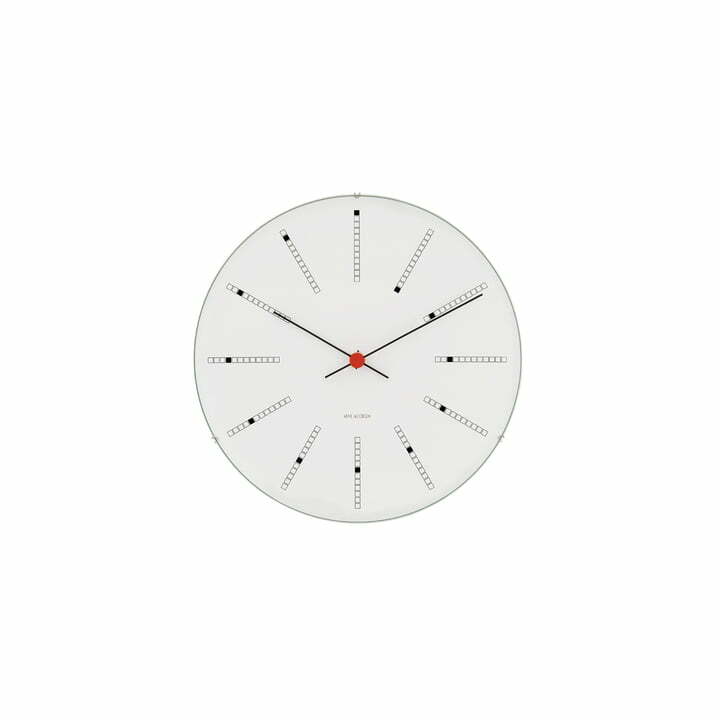 This means that the dial displays a spiral-form construction from one to twelve o'clock. 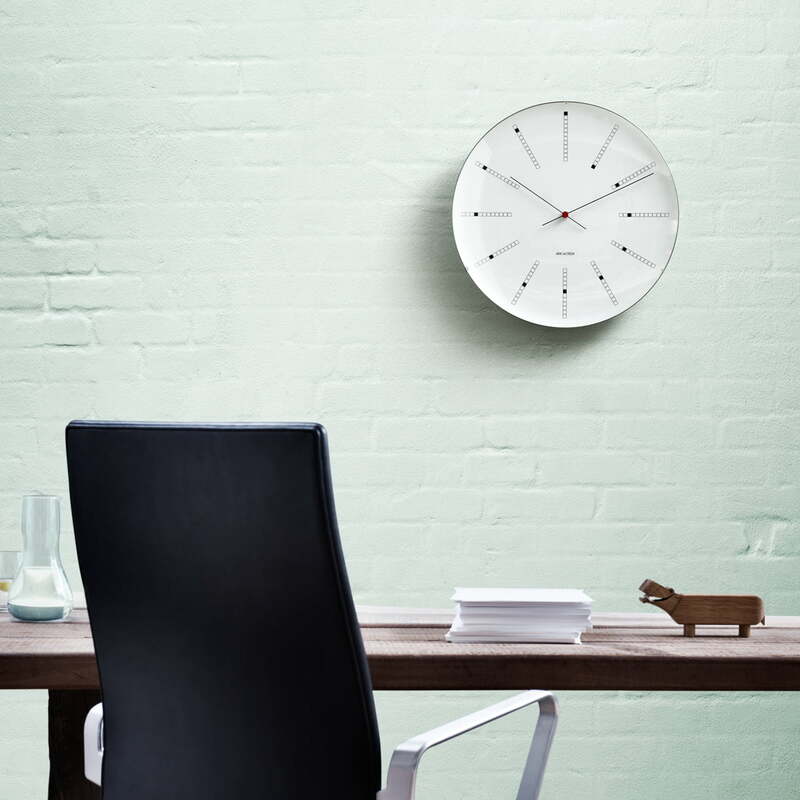 All AJ clocks by Rosendahl embody an interesting diagonal-cut of modern times on a unique way in an Arne Jacobsen design over a period of 30 years. The housing of the clocks consists of aluminium and mineral glass. The clockwork comes out of Japan and is powered by an AA-battery (1.5V).